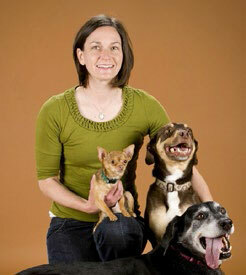 Stacey earned her DVM from Kansas State in 2005. She worked in small animal general practice until 2011 when she changed her focus to emergency medicine, joining an emergency and referral hospital in Parker, CO. She took the MAV course in 2012, and has been integrating acupuncture with the specialists in her hospital and with referring veterinarians since. Outside of work, she enjoys running, as well as skiing and hiking with her husband, three children and dogs.